Many people throw out orange peels once they’re done eating or juicing an orange. But did you know that orange peels are a powerhouse of nutrients and anti-oxidants? The orange peel even have higher vitamin C content than the fleshy inside and therefore instantly brightens skin and remove tanning to a great extent and make it soft and supple. It also balances skin by removing excess oil form open and clogged pores. When I have oranges in the house, I will dry and powder their peels. In fact, making orange peel powder is very easy! Homemade is always better, fresher and more effective for skin! 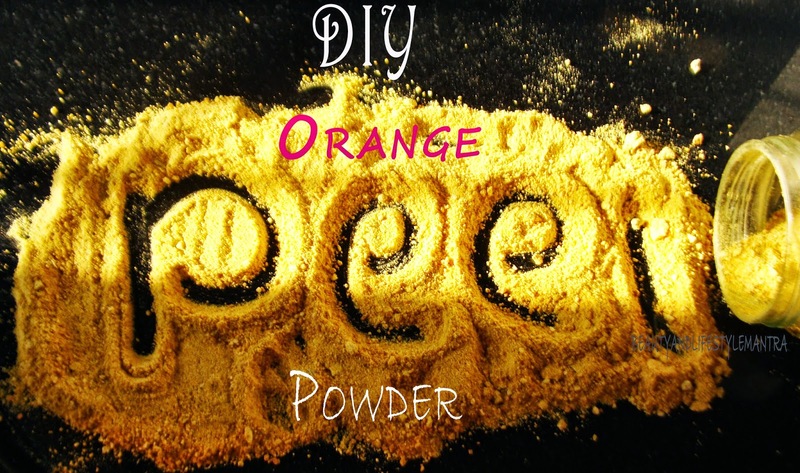 I use orange peel powder for my home made beauty products. Remove the peels out from the oranges and retain them under the sun light, let them dry for four to five days in the sun light and Grind them in a blender and make fine powder. when oranges are out of season this dry orange peel powder complements its beauty benefits. As long as the powdered zest is completely dry, it should last for about a year. Store it in an air tight jar and put it on refrigerator to prolong the shelf life.